It’s been a relatively quiet few months on the EDC kit front, but I have picked up a few things. So moving on from my Tyvek Mighty Wallet (see review here) I have picked up an RFID Blocking Wallet. This is a more traditional wallet made from leather with 8 credit card slots and 2 note compartments. Its main feature is that the cover has RFID signal blocking technology built in so that your contactless payment cards can’t be maliciously scanned. I’m yet to test this so it will be interesting to see if it works. This was a bargain so I had to buy it. I’ll use it in another bag so that I can be sure I’ll have dry kit. From inspecting the bag it looks like it will do a good enough job. A bit of the stitching on the inside top edge is a bit loose but apart from that its all looks ok. I wouldn’t use this bag for any serious water-borne activity, but for everyday use it should be perfect. This is an excellent EDC addition. I have looked at many packable day sacks until I found this gem. 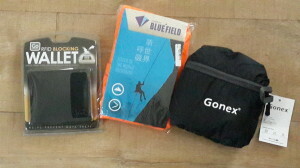 This bag folds up into its own built in pack which is small enough to easily fit into any of my other bags. It has two bottle compartments on the outside, and one large inner compartment. It has adjustable straps and good zips. 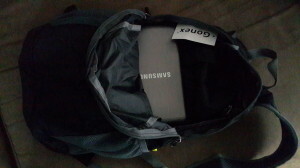 It easily fits a 15″ laptop, not that I would carry it in this bag. This 20L bag was bought so I can break down my other kit and throw it in the car. Would also make a good undercover bag. This battery bank (10400mAh) can charge two devices at the same time, multiple times. 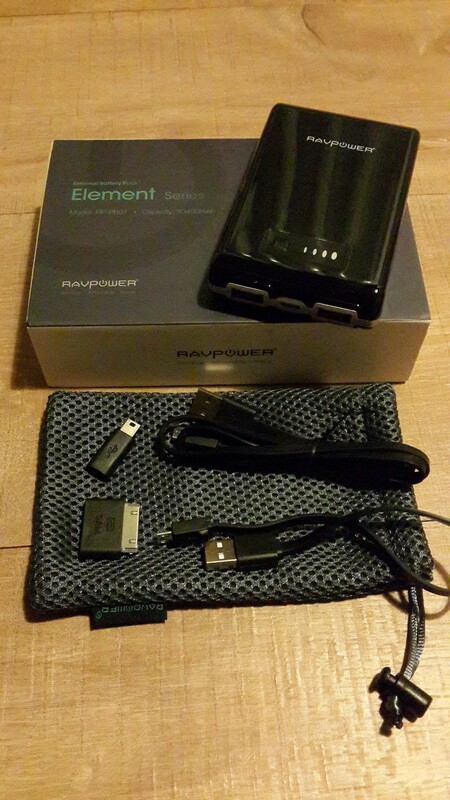 Comes with 2 micro USB leads of different lengths, travel pouch and a couple of other adapters. You charge it using any micro USB charger and from the one charge I have done from about 50%, it took about 3 hours to charge.